The fact that vegetables are good for you is no secret. 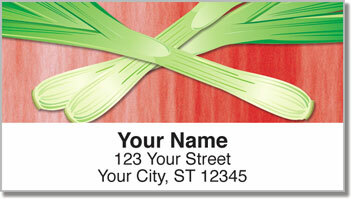 But the green variety is especially nutritious...and can also be quite delicious! Green plants contain a higher amount of chlorophyll, which acts as a blood detoxifier and increases circulation in your body. It's also believed that chlorophyll can help you heal faster and could even prevent cancer. 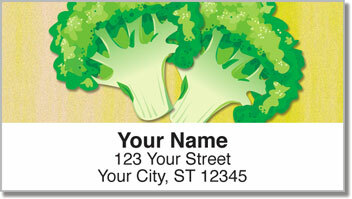 Let these eye-catching address labels remind you to eat your green veggies. This product has its own health benefits. 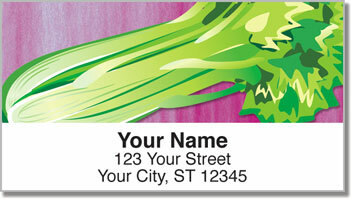 You'll reduce stress by eliminating the need to scribble out your return address on every envelope. Just peel and place thanks to the self-adhesive backing! 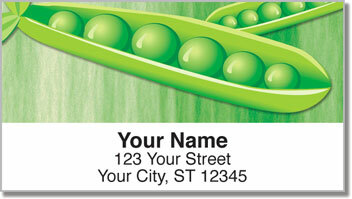 Order your very own Green Veggie Address Labels today! Get them with matching personal checks.